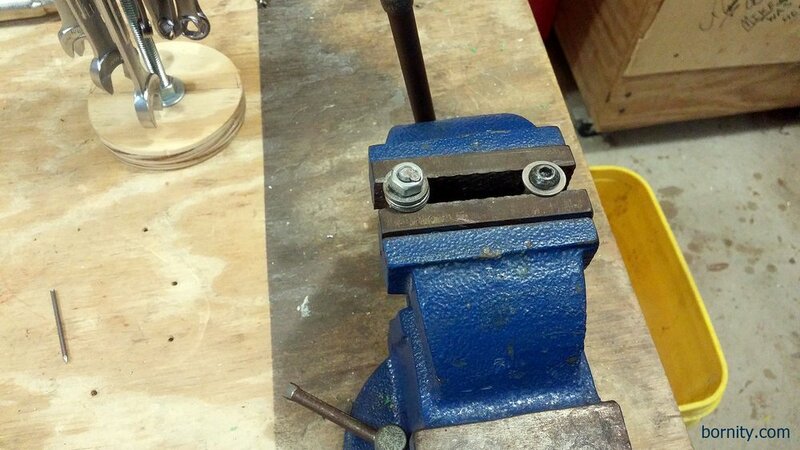 Sometimes in the middle of a project, you need a bolt length you just don't have. 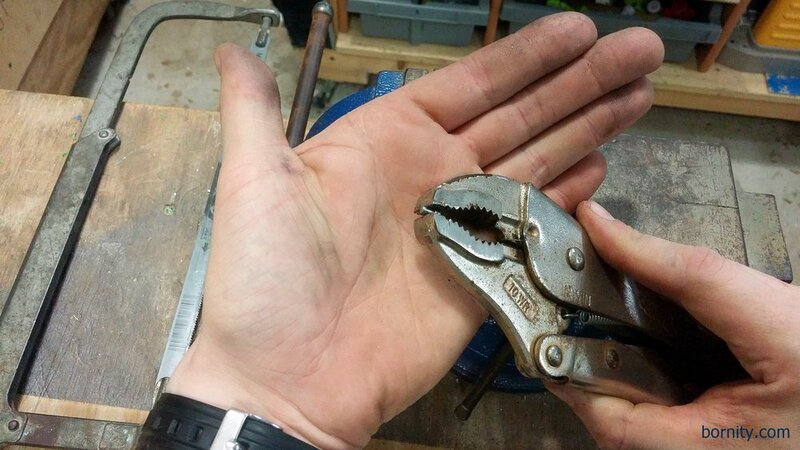 Your local hardware store is closed or just doesn't have the size you need. 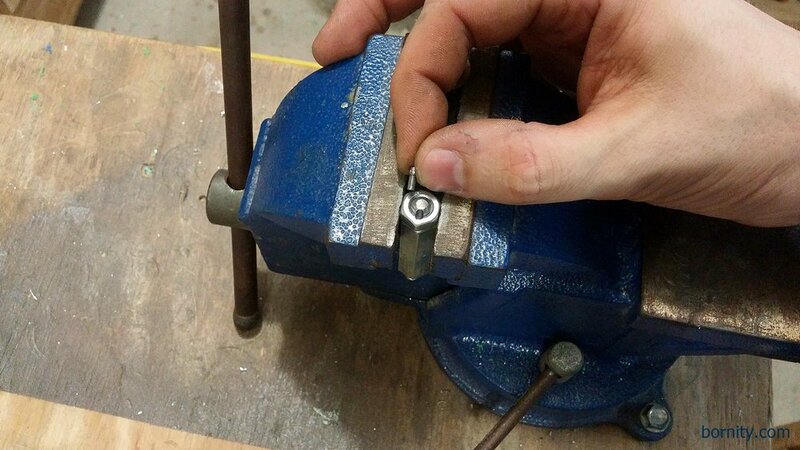 For non-safety-critical applications, one option is using a length of threaded rod and jam two hex nuts against each other. 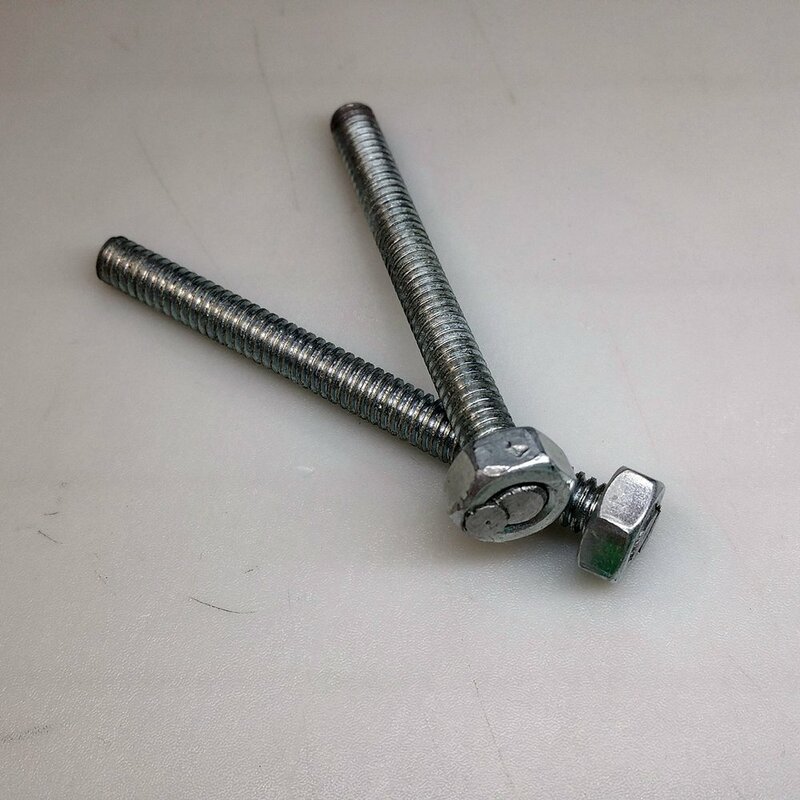 While easy, the jammed nuts are not truly fixed to the threaded rod and the "head" is twice as thick as a standard bolt head. 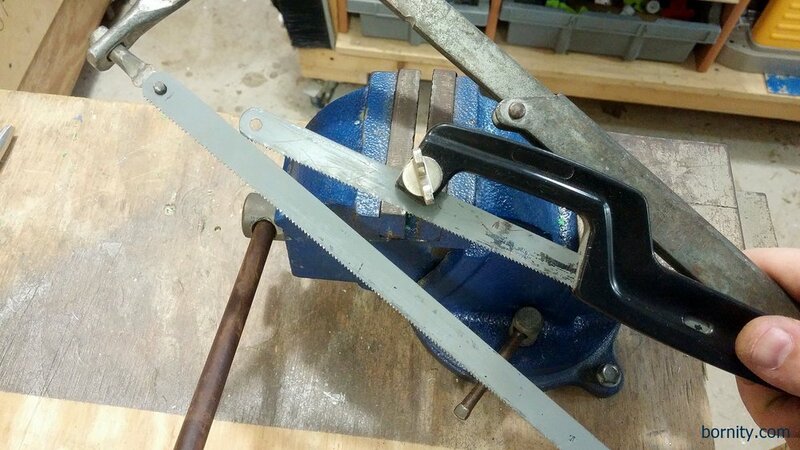 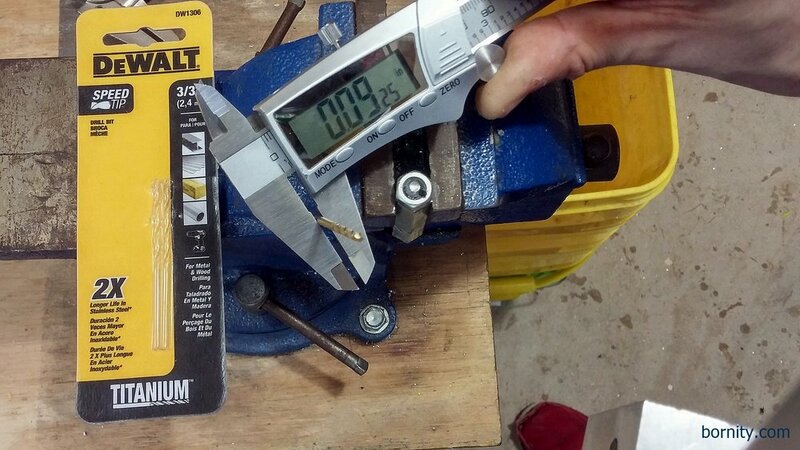 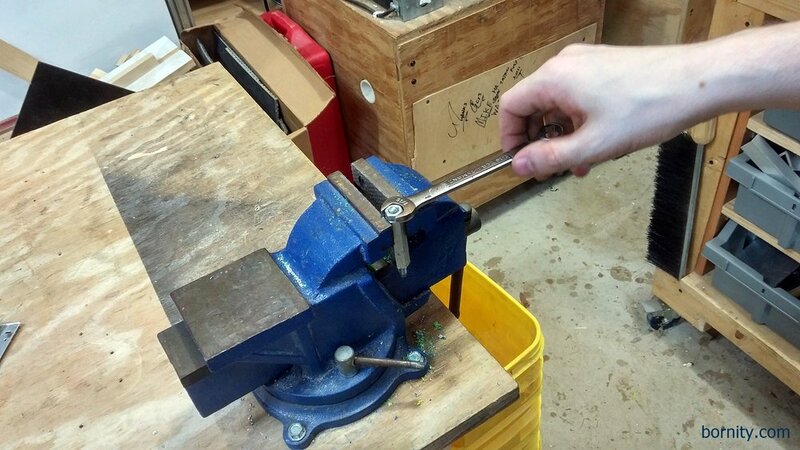 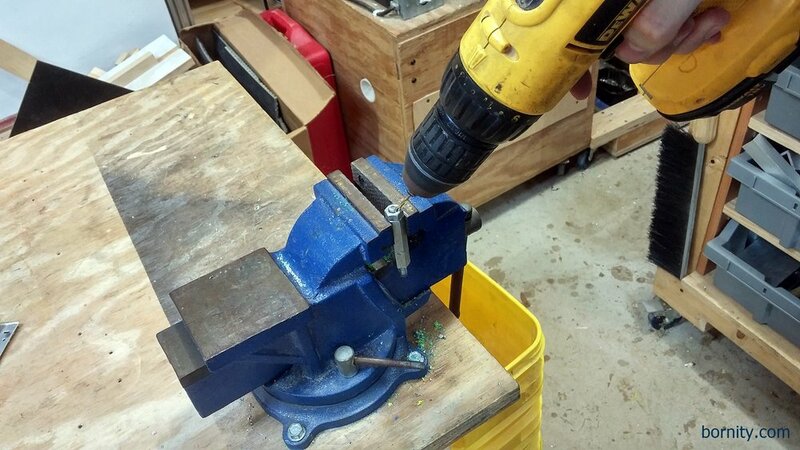 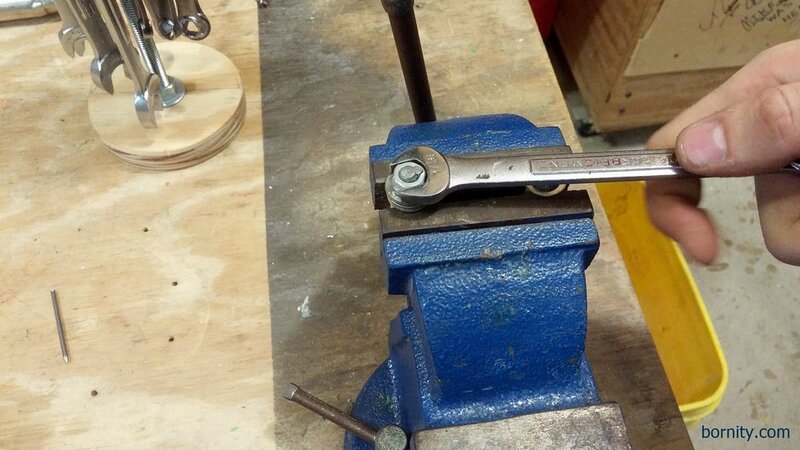 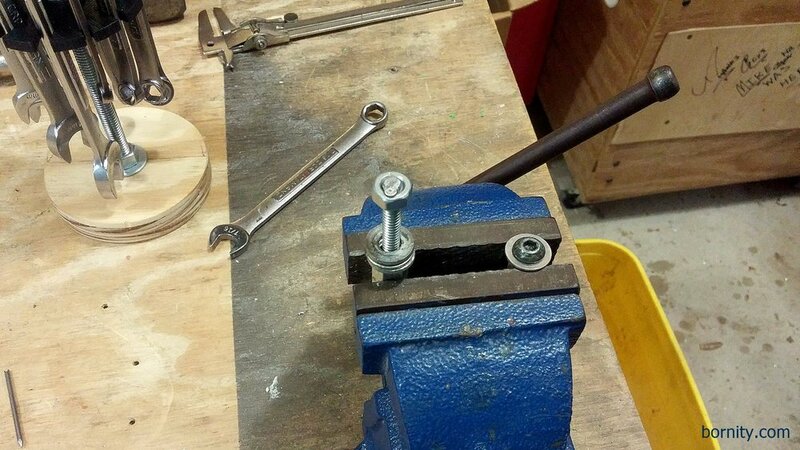 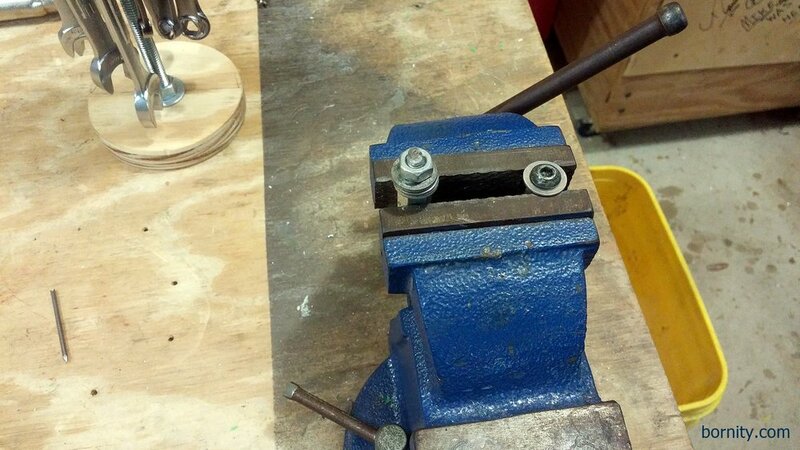 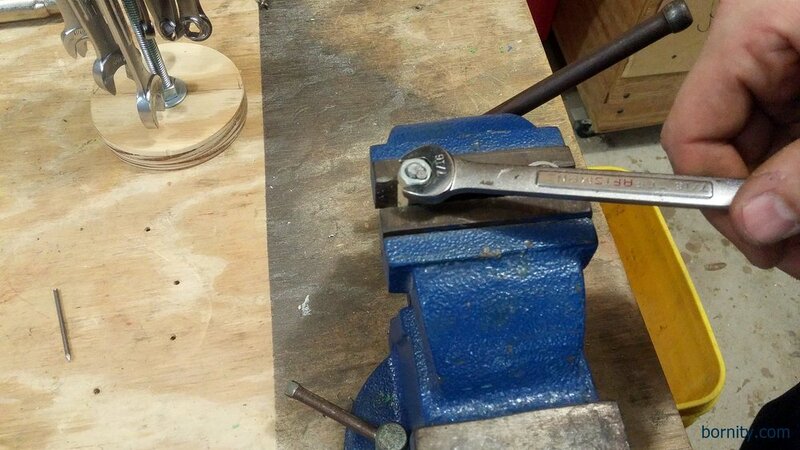 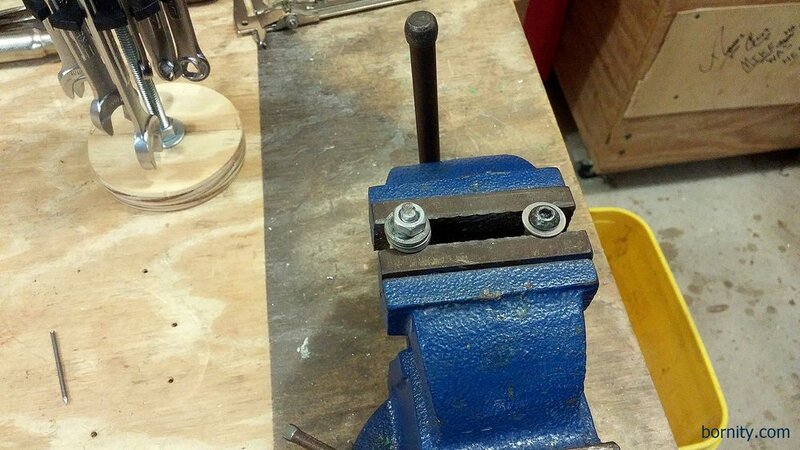 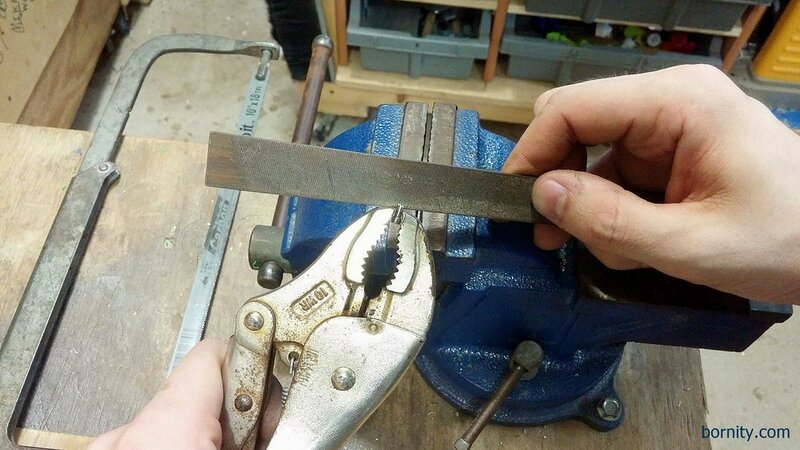 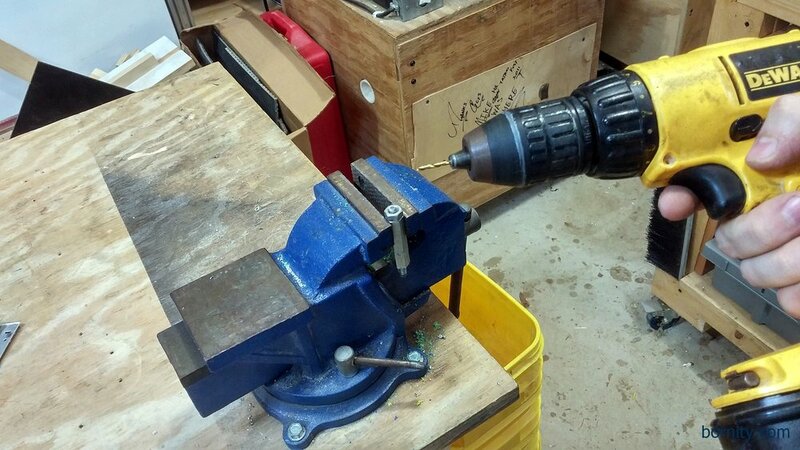 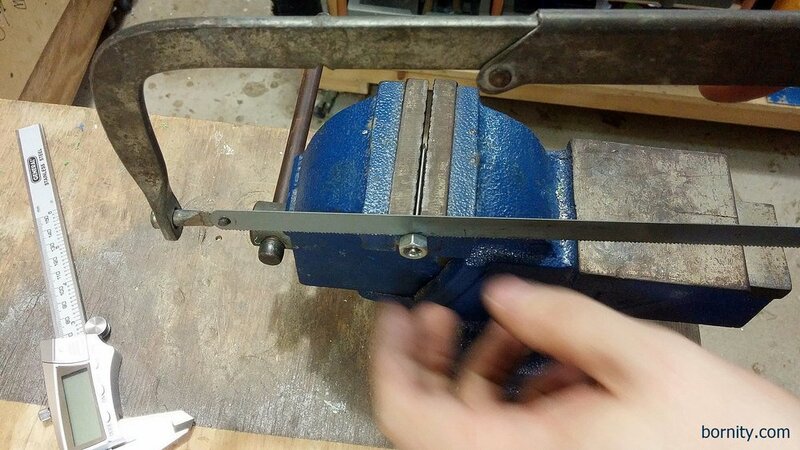 Here's a quick way to fix a nut on the end of a threaded rod. 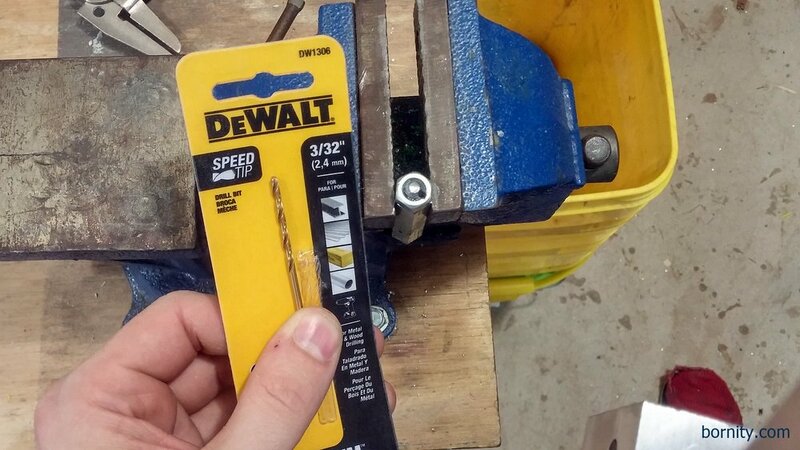 Note: I must repeat, this is for non-safety-critical applications. 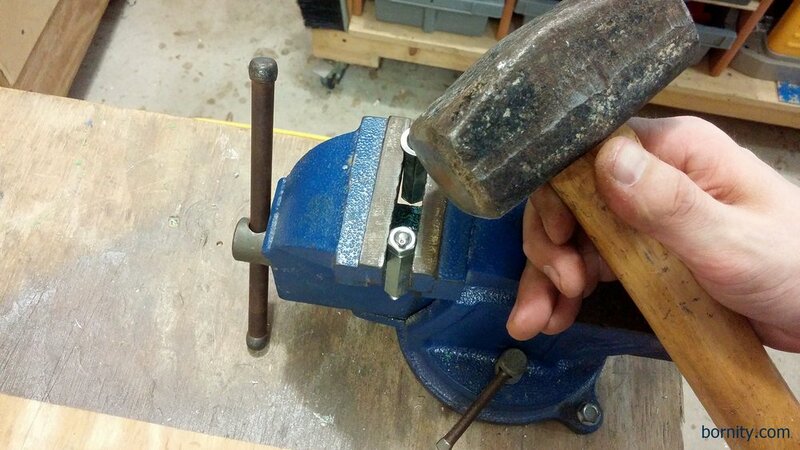 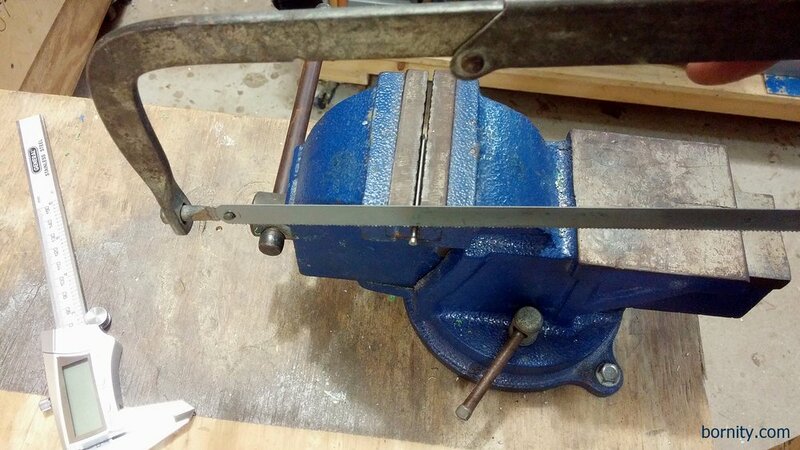 Hammer is a small gauge nail head into a holed drilled through the treads. 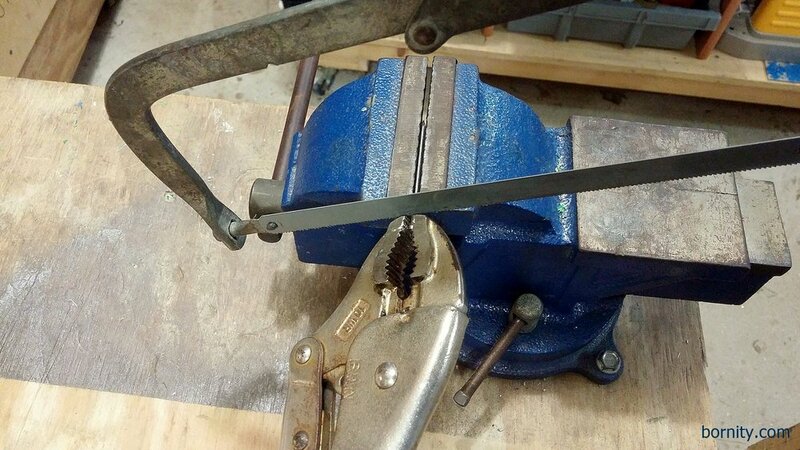 Quick and dirty gets the job done. 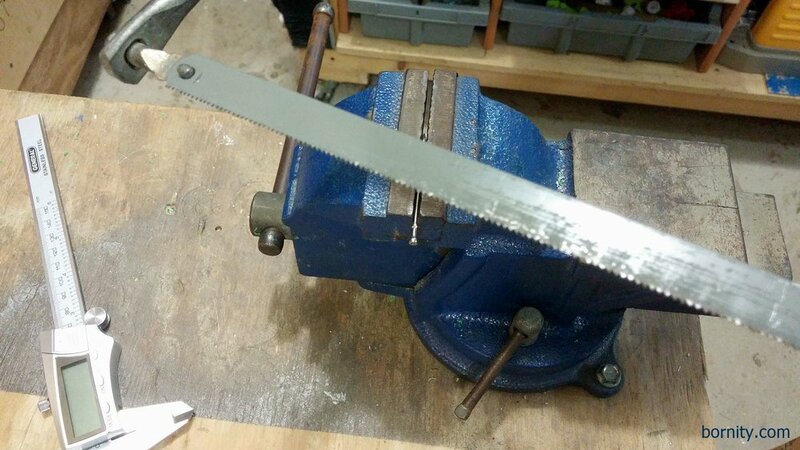 Added washers to prevent the hex collar from slipping. 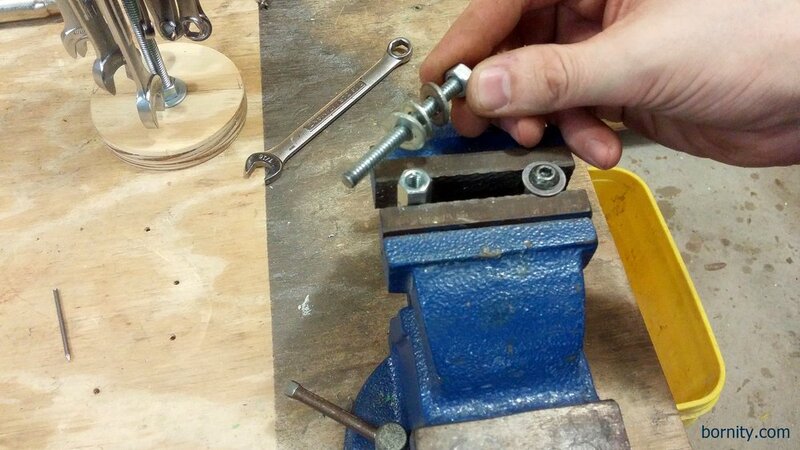 Checking out the finished bolt. 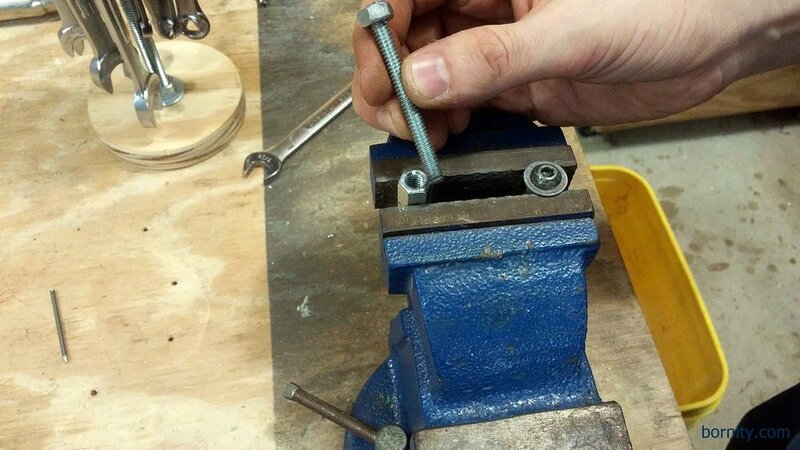 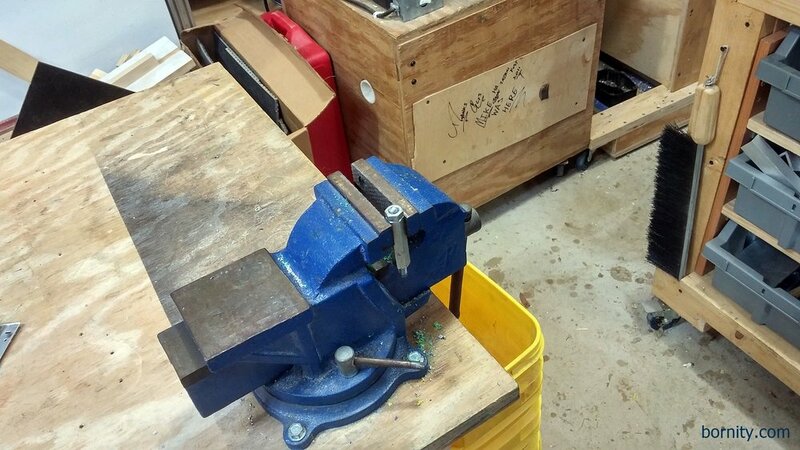 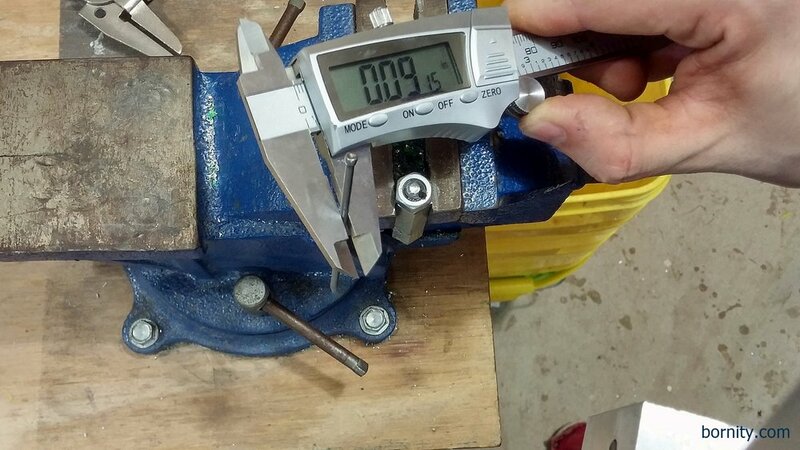 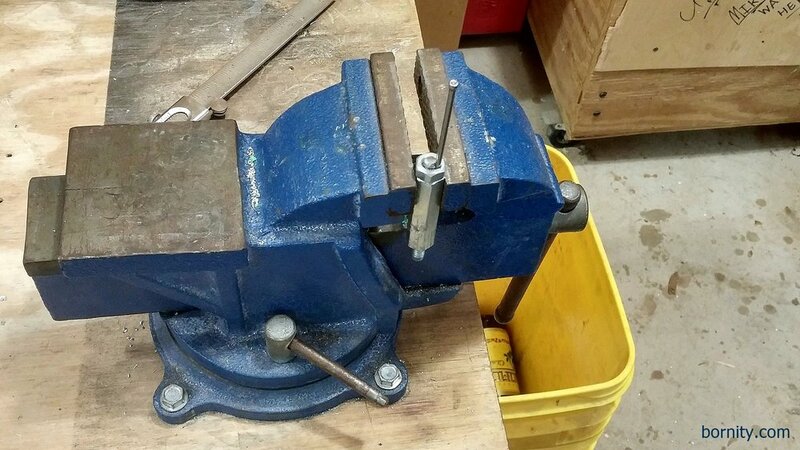 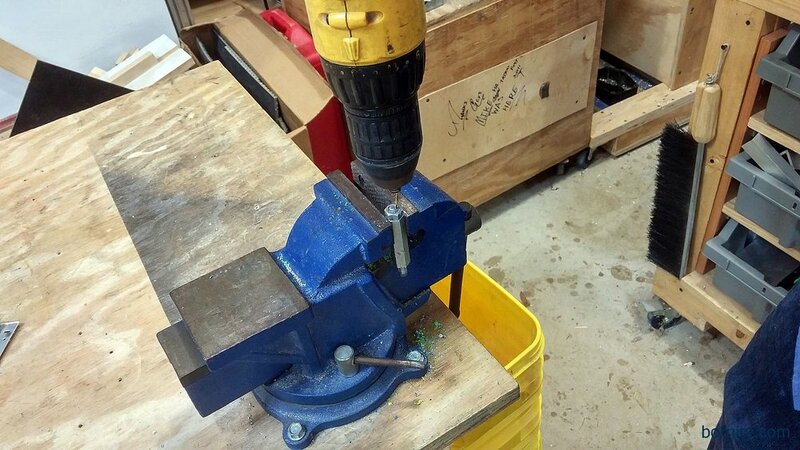 The photos below should give you all you need to know to quickly make some custom size bolts. 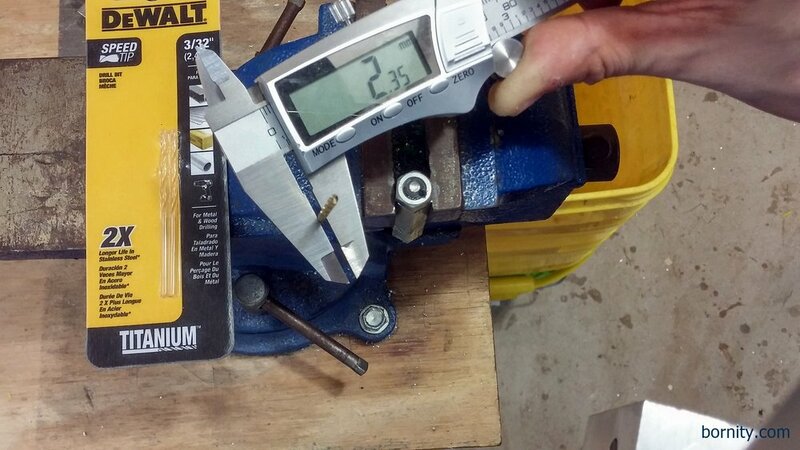 Here are to tools and materials I'm using to make 1/4-20 x 2-1/4" Long Bolt.